In the early 1990s, Colombian authorities, the US government, and rival criminals were all after Pablo Escobar. The Medellin cartel chief was gunned down on a rooftop in his home town in December 1992. Many claims of responsibility for Escobar’s killing have been made, but the exact details remain murky. On December 2, 1993, Pablo Escobar, the wealthiest drug kingpin the world has ever seen, attempted to flee from a hideout in his home base of Medellín, Colombia, by scrambling across a neighboring rooftop. Instead, he was cut down by gunfire, and the resulting image has been seared into the public memory — the bloody corpse of the world’s most powerful drug lord splayed across a tile roof in the city that was once his safest redoubt. The other men in that image, a group of Colombian troops, have long been regarded as the ones responsible for delivering to Escobar the justice he had so long avoided. But accounts from rival traffickers and gang members, intelligence documents, and Escobar’s own family indicate that those troops, soldiers backed by the legitimacy of the state, may not have been responsible for the demise of El Patron. In late 1989, after a series of bloody humiliations dealt by Escobar to the forces and officials of the Colombian government, then-President Virgilio Barco created a special police unit to deal with the kingpin and his cartel. While its initial encounters with the Medellín network left the Bloque de Búsqueda, or Search Bloc, dazed and weakened, it eventually became a hardened task force that hunted down Escobar and his associates. Assisted by US special forces, US Army intelligence, and members of the CIA and Drug Enforcement Administration, the Search Bloc pursued Escobar throughout 1992 and 1993. According to official accounts, it was the Search Bloc that ultimately killed Escobar. On December 2, 1993, one day after Escobar’s birthday — according to Mark Bowden’s book „Killing Pablo,“ he celebrated with marijuana, a birthday cake, and wine — the Search Bloc tracked the drug baron to Los Olivos neighborhood in Medellín. The Search Bloc was able to converge on the house where Escobar was speaking on the phone with his son. In Bowden’s account, despite all of the group’s gadgets, a positive ID was made only when a member spotted Escobar through a second-story window. Members of the Search Bloc surrounded the home while others stormed through the door. Alerted, Escobar and a bodyguard stumbled out a back window onto an orange-tiled roof. They were met with a hail of gunfire, and both fell from shots to their heads — Escobar with one that entered his right ear and killed him instantly. Reports emerged afterward that Escobar had gone down firing his own weapon, and the confusion of the encounter has left the question of who fired the fatal shot open to speculation. In January 1993, according to Bowden, a new group had joined the hunt for Escobar. „Perseguidos por Pablo Escobar,“ or People Persecuted by Pablo Escobar — known as Los Pepes — was made up of rival drug traffickers, paramilitaries, and others scorned by the Medellín cartel boss. Earlier, in mid-1992, Pablo’s execution of two lieutenants had broken his cartel into warring factions. And according to journalist Alma Guillermoprieto, who spoke with a former Los Pepes member, the group was most likely led by former members of the Medellín cartel who, seeking vengeance, had offered money to members of Escobar’s crew, members of the Search Bloc, or anyone else who was willing to take on the kingpin. Los Pepes were, in Bowden’s words, „some extralegal muscle … who didn’t mind crossing the lines of legality and morality that Pablo so blithely ignored.“ Many in the Colombian government were said to be open to their participation in the hunt. According DEA documents cited by Bowden, the group probably received funding from the rival Cali cartel and likely got information from the Colombian National Police and, allegedly, American intelligence agents operating in the country. A 2015 court ruling ordered the CIA to release more documents that could shed light on the suspected cooperation between the American government, Colombian security forces, and Los Pepes. Los Pepes quickly mounted a campaign that rivaled that of Escobar’s in sheer violence. In early 1993, there were up to six killings a day. Low-level cartel managers, former state officials linked to the cartel, Escobar’s attorneys — anyone was fair game. Escobar retaliated with more bombings in urban areas, and Los Pepes responded in kind, destroying numerous properties belonging to Escobar and his associates. An account from Diego Fernando Murillo, aka Don Berna — a central figure in Los Pepes, according to Insight Crime — also indicates that members of Los Pepes accompanied the Search Bloc on its raid of Escobar’s hideout in Medellín. In Don Berna’s telling, it was his brother, Rodolfo, who delivered the coup de grace, shooting Escobar in the head with an M-16. Despite evidence that the Search Bloc was working with Los Pepes — and evidence, cited by Bowden, that Don Berna worked with both the Search Bloc and the DEA — the accuracy of Don Berna’s account hasn’t been confirmed. A 2003 confession by a former paramilitary member seemed to corroborate Don Berna’s claim that it was a joint operation. „It was an agreement that they had because Escobar was a common enemy,“ said the former fighter. „The operation during which Escobar was killed was realized exclusively by the police, as is public knowledge,“ he said. A third actor to whom Escobar’s death has been attributed is Escobar himself. 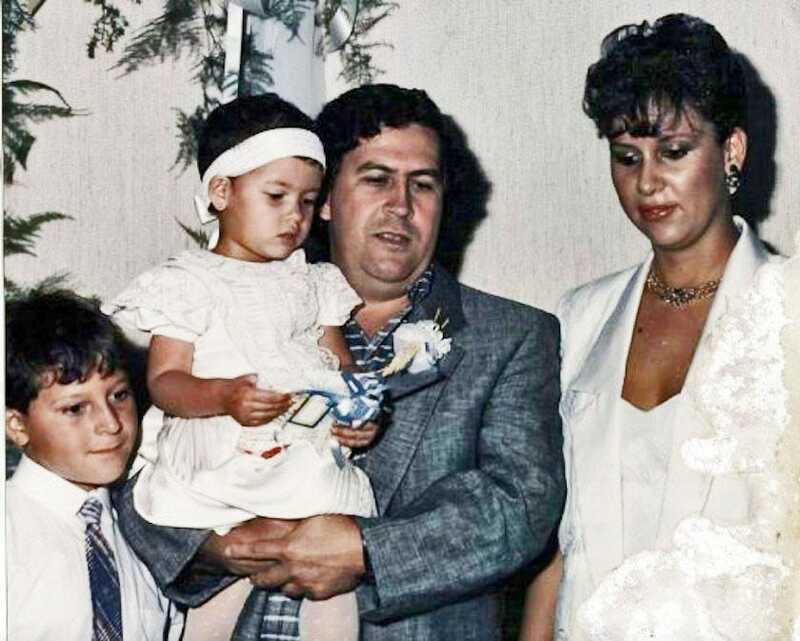 His son, Juan Pablo Escobar Henao, who has changed his name to Sebastián Marroquín, has insisted that his father took his own life on that Medellín rooftop. „I have no doubt“ that Pablo Escobar planned his own death, Marroquín said in a 2014 interview. In his book, „Pablo Escobar: My Father“ released that year, Marroquín detailed the basis for his claim. Escobar told his son numerous times that he would shoot himself in the right ear to avoid being captured alive, he said. Moreover, images of the drug lord on the rooftop show his Sig Sauer pistol, which Marroquín says his father would’ve used to shoot himself, lying next to his body. Other members of the Escobar family have posed this theory. After an exhumation of the drug baron’s body led by his mother and widow in 2006, the family said a hole in his head confirmed the theory that the fatal wound had been self-inflicted. But according to Martinez, a gunshot from within 3 feet would’ve left gunpowder marks on Escobar’s skin — marks that are not visible in autopsy photos, according to Bowden. The question of who killed Pablo Escobar is likely to go unresolved, probably by design. His death, like his life, left a dark stain on Colombia, and the commitment to forgetting how he died seems to be one shared by Colombians and Americans alike.